Black Hills Silver ring. 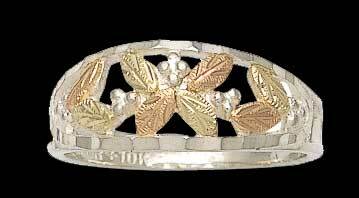 Sterling silver ring with 12 karat Black Hills Gold accents. Available in sizes 5 - 8.